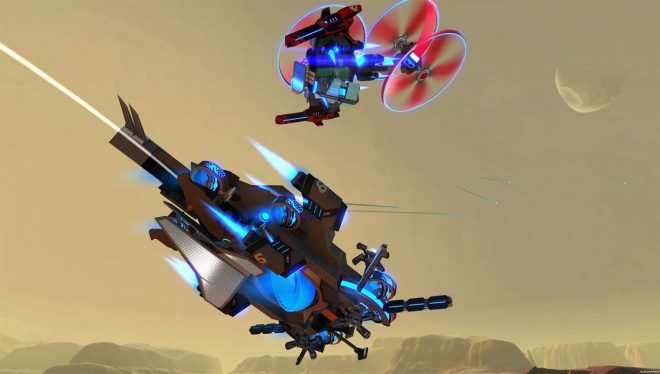 Robocraft Infinity is a third-person shooter game centered around building robots block-by-block and competing in two different games modes. 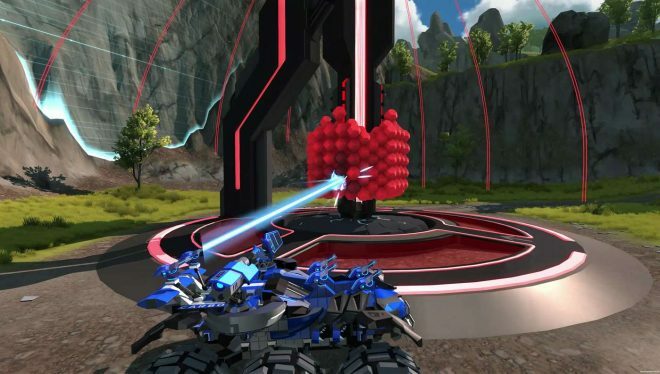 Battle Arena is 5v5 control-point game mode. There are three points that each time fights to control. The more your team controls, the faster you earn energy for your team’s meter. Whichever team fills their meter first or has the most filled when the time runs out, wins. This is the game’s competitive game mode, complete with a ranking system. If you’d rather not play ranked, your other option is 5v5 Team Deathmatch. This is the standard game mode found in basically all shooters. The first team to reach 25 kills or have the most when the time runs out, wins. There is a brief tutorial to get you started, but it definitely doesn’t cover everything you can do in this game. The flow of the game is essentially: build or choose your robot, test it out in a training area, choose your game mode and then fight. You will earn experience after every game based upon your performance and if your team won. Every time you level up, you unlock a Level-Up Crate. These crates contain items like new weapons, building blocks and currency to use to buy more of these items. Items like these can be used infinitely once unlocked. For example, unlocking a new laser means you can put one, two or 20 of them on your robot and on as many robots as you want. Customization options — There are over 230 different parts to choose from to use in building your robot. These range from weapons, wheels and legs to differently shaped corners, wings and armor. You can make small robots, big robots, robots covered in guns, robots that fly, robots shaped like animals, robots shaped like fruit; the list goes on and on. The more creative you are, the more fun this aspect of the game will be. 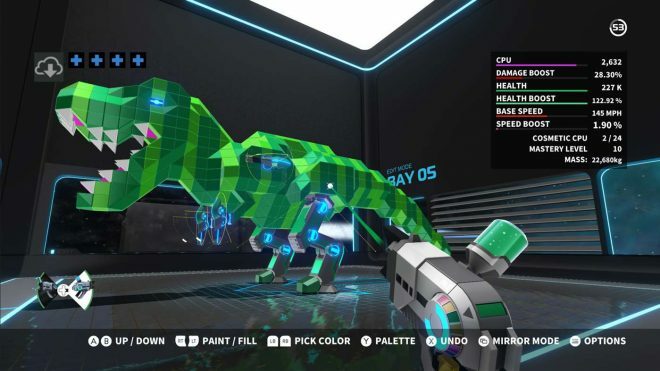 You could literally spend hours designing and building different robots before you actually take them into a game. With so much customization, and more being added over time, you could find yourself coming back to this game again and again. Wait times — One of the most frustrating things about online multiplayer games is the wait time for finding a match. 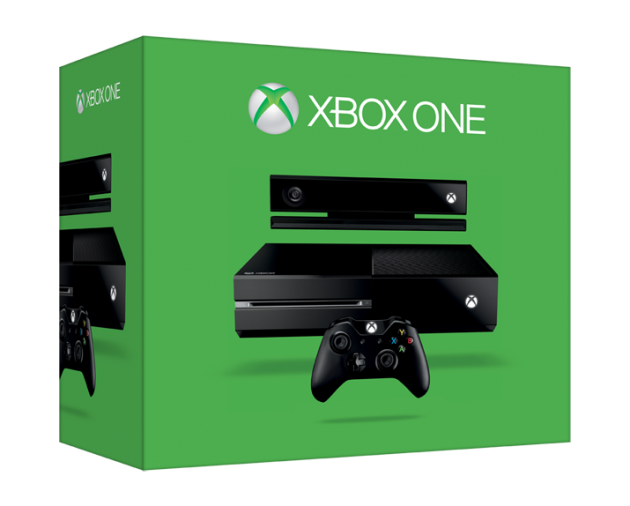 Being a Game Pass game, there is no shortage of players as there might normally be at first with an indie title. With thousands of players having access to this game from the start, there was never a time that I waited for more than one minute in queuing for a match, which I can’t say for even many of the AAA multiplayer games I’ve played. That is a crucial feature to keeping players happy and coming back. If finding a match takes too long, players might be less prone to waiting around and switch to a different game. Getting on Game Pass from the start might have been the difference between success and a flop. No strategy/teamwork — There is no sight of strategy or teamwork at play in either of the two game modes. During 5v5 Team Deathmatch, it’s just a bunch of robots scrambling around the map shooting at whatever they think is an enemy robot. Some are flying, others running and others are sideways on the ground because they fell and haven’t figured how which button recalibrates their orientation. In Battle Arena, where you would think there would be strategy, it’s just a bunch of robots scrambling around the map shooting at whatever they think is an enemy robot. Everyone tries to capture one of points solo while another point is captured by the enemy. No progress is made, and the timer eventually runs out. Customization method — The controls and menus for selecting, adding and moving parts to build your robot are not intuitive and not conducive for quick building. Take a look at the image below as an example. When building a base or filling in spaces, this is done one block at a time. Most of your time in this game will be spent building robots, correcting your mistakes then playing a round with your new robot only to find out it doesn’t function how you thought it would. For instance, you would think if you put 12 guns on a robot, it would damage an enemy quicker than with only two guns; this is not the case. The guns seem to fire one at a time no matter how many you have, so it’s mostly just for show. Robocraft Infinity can certainly be a fun and creative game. As you unlock more items, you can build better and cooler looking robots. You can even share your designs online for others to admire and use. If you like building-block type games, this is one you should try out. The customization ability, once you get past the controls, is a rewarding experience; the combat, not so much. If you are looking for a cool new shooter-style game to play with friends, this one doesn’t quite scratch the itch. Playing the game modes amounts to just a way to level-up so you can unlock more items and get back to the good part, building. This game is one of the first to launch directly into Xbox’s Game Pass subscription at launch, so if you’re subscribed or still have a free trial to use, you can try this game out for yourself at no extra cost. 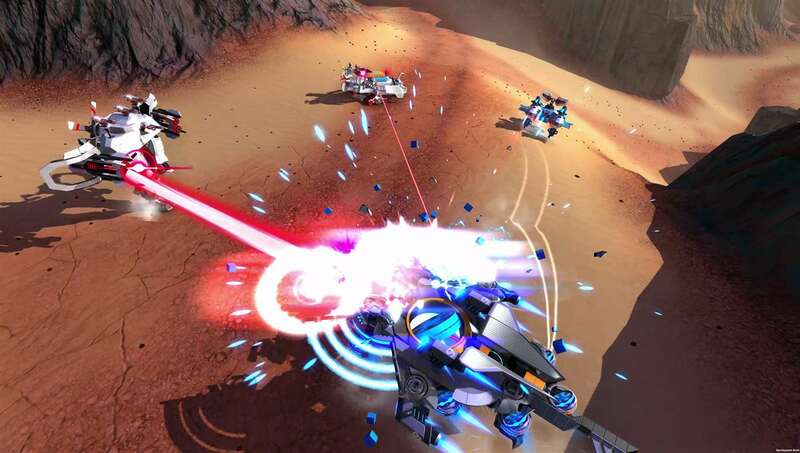 Robocraft Infinity was developed and published by Freejam on Xbox One. It released on April 11, 2018, for $19.99. A copy was provided for review purposes.